Okay, maybe in a global marketplace where GM's Buick is one of the most popular brands in China and Honda, Mazda, Mitsubishi, Nissan, Toyota, Hyundai, and Subaru all build large numbers of cars in the US...the concept of 'Asian' manufacturers is a bit odd. However, I think for our purposes, lumping manufacturers together based on the country from which they sprang is still fairly useful and closely coupled to how consumers actually view the market. It is common as of late to beat on the 'domestic' US manufacturers as if there are no dark clouds over imported brands. Of course, it is not that simple. Not when Chrysler is doing well (and owned by a European company - but I digress), Mitsubishi is easily in worse shape than GM could dream, Nissan still has nagging quality problems with vehicles built in their new plant down south, etc. Let's just agree that the auto business is tough and all companies are vulnerable, no matter what some in the media might suggest. Just so you don't have to read all the way to the end if your favorite manufacturer has something coming...I'll list here the companies with no planed introductions for 2006. Subaru - which is coming off the releases of the B9 Tribeca and freshened Impreza/WRX/Outback Sport and, the year before, the Legacy and Outback. Expect more excitement from the all-wheel drive company in 2007. Coming off the launch of the new Civic which, by all accounts, is the best small car on the market - Honda has realized that their small car has grown out of the entry-level market. 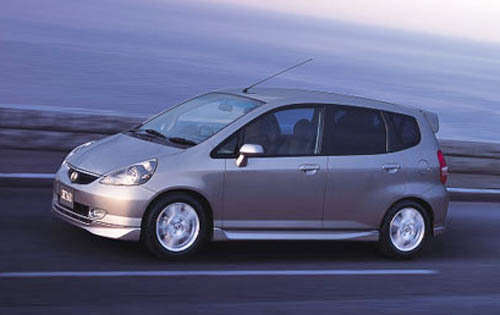 To fill the gap left by the grown-up Civic, they will bring their smaller car, the Fit to the US market in the spring. Expected to compete head-to-head with a new bread of entry level cars (like Toyota's new Yaris as well as Scion's xA). Expect 1.5l 4-cylinder power and a price in the sub-15k range. Speaking of the new Civic, there are rumors of a new Acura RSX (a platform-mate of the Civic) in 2006. However, rumors also abound that Honda may have finally realized that the RSX is too inexpensive a car for the Acura luxury brand. Come fall, expect to see a new Honda CRV and, for the first time, an Acura version, the RDX. 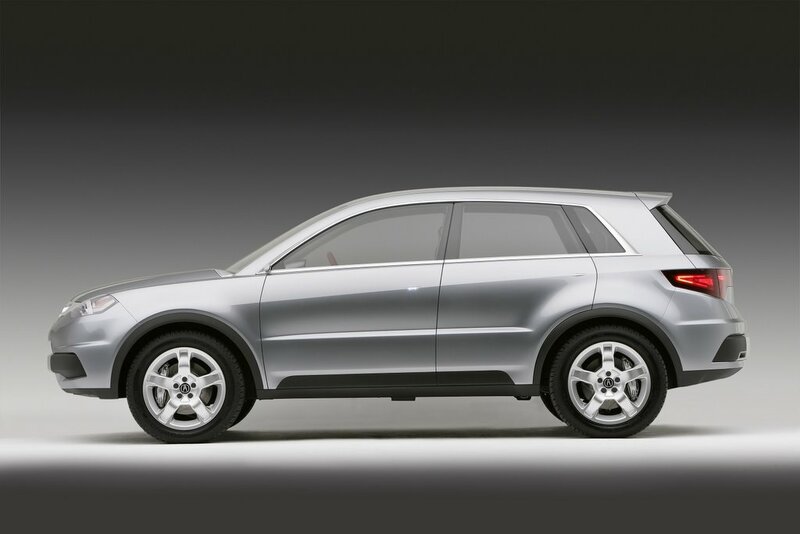 The RDX was previewed during early 2005 in concept form (shown). 2006 will be a great year for Mazda people movers after a couple years of new sports car and sports sedans. After only offering a version of the Ford Escape (Tribute) for years, now Mazda is expected to offer one, and maybe a second cross-over SUV this year. First up is the 5-seat CX-7, powered by a 2.3l turbo 4-cylinder (from the Mazdaspeed6) in front or all-wheel drive. This is one decidedly sporty wagon. Recent reports put the CX-7 as a variant of the Mazda6 platform with the Ford Edge and Lincoln Aviator - though it's 4-cylinder only powertrain lends some credibility to this being a version of the Mazda3/Mazda5 platform (which is itself a shrunken version of the Mazda6 anyway...so maybe that doesn't matter. The reason this makes more sense is the rumor that this year will also bring a CX-9, 3-row seating cross-over as well. This would be the actual platform-mate with the Aviator and Edge. Expect the CX's in late 06. Also, expected late this year - if Mazda chooses to stay in the market - is the replacement for the Mazda MPV (though the name will likely change to fit the new Mazda naming scheme). Just in case you thought that Mazda might be softening on their Zoom-Zoom philosophy, summer 2006 is expected to bring Mazda's answer to the Mitsubishi Evo and the Subaru WRX - an all-wheel drive, turbocharged Mazdaspeed3. Sounds like fun. 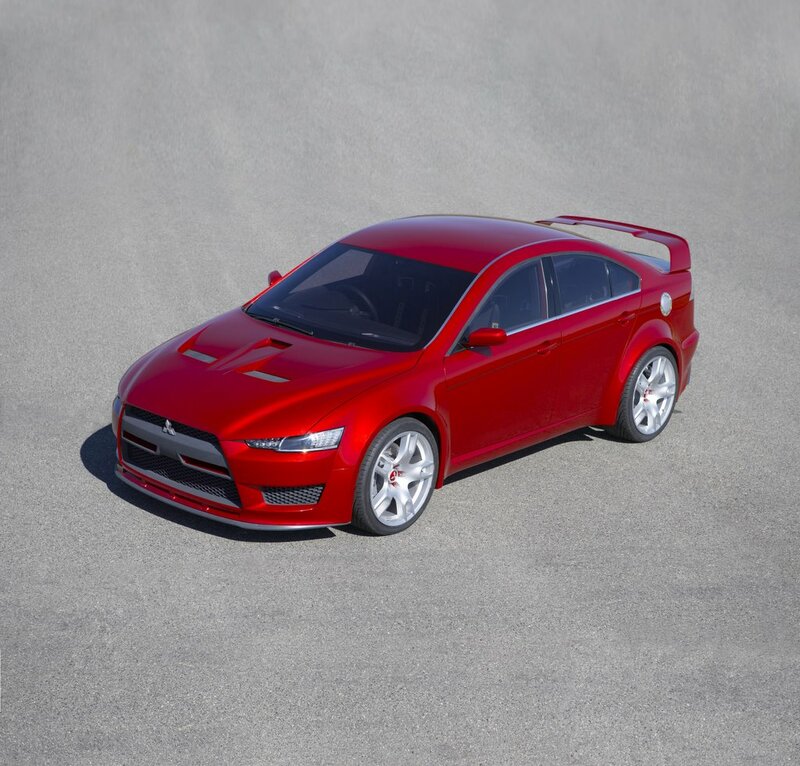 After a few dark years, Mitsubishi is starting to show signs of life. On the heals of the cool-looking Eclipse - finally getting back to the look that made the first and second gen cars so successful (if lacking the smaller size, all-wheel drive, and highly tunable turbo 4-cylinder that made the original a hit with the hot-rod crowd) - is the new Eclipse Spyder this summer. 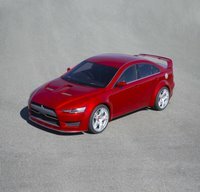 Mitsubishi, which until recently was closely tied to DaimlerChrysler, will be bringing out their versions of the platform they co-developed with the Chrysler group in the fall. Chrysler brings us the Dodge Caliber, Jeep Compass and Patriot, and the next PT Cruiser. Mitsubishi will bring us the replacement for the Outlander as well as the 10th generation of the Evolution (Evo). Expect great things from this new from the ground up Evo (concept shown). Nissan, arguably Mazda's main competition for sporty and affordable cars, will be fleshing out the lower end of their line this year. The Sentra has been the neglected member of the Nissan family and will finally get replaced this year - however, as if the make up for the lack of attention, Nissan will be bringing out two more entry level cars to keep it company. 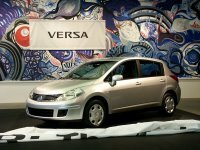 The Versa, in both sedan and hatchback should compete against the Honda Fit, Toyota Yaris, as well as other entry-level cars. For those buyers who might have gone for a Scion xB, Nissan will bring the next version of their boxy Cube (yep, Cube is actually the name as well as a pretty good approximation of the shape). Expect the Versa this summer, and the Cube and Sentra in the fall. In addition to the entry level, Nissan is not ignoring it's bread and butter. The next Altima will come to market this year. In a strange twist, Nissan will be using Toyota's hybrid technology in a version of the Altima that will compete with the Honda Accord Hybrid as well as Toyota's own upcoming Camry Hybrid. Infiniti, which has had quite the busy few years revamping most of the line-up is expected to bring out a competitor to BMW's X3 as well as the new Acura RDX - the CX35 cross-over. Okay, time to talk about the industries 800 lb gorilla - Toyota. In spring, expect a product blitz that only a company as profitable and large as Toyota can pull off. Camry is all new with swoopy styling that many who've seen it have compared to the sleek Mazda6. Available in 4-cylinder, 4-cylinder hybrid, as well as v-6 (with over 260hp) - the Camry looks set to keep its leading sales position. Take a look at the new Camry at Autoblog.com. 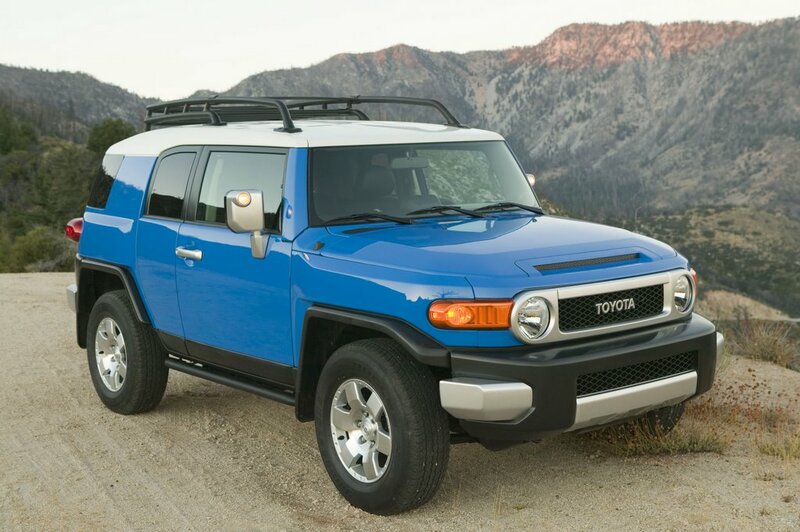 Also coming early this year are the retro FJ Cruiser - taking many styling cues straight from the classic Land Cruiser, it is not only cute, but also fully capable of Rubicon-levels of off-road antics. It will come in rear and 4x4 versions with a powerful v-6. Additionally, for the on-road set, will be a new RAV4 that has been stretched, in this version, by over a foot and added a 3rd-row seat. It is now almost the same size as the Highlander (perhaps making room for Highlander to move larger). 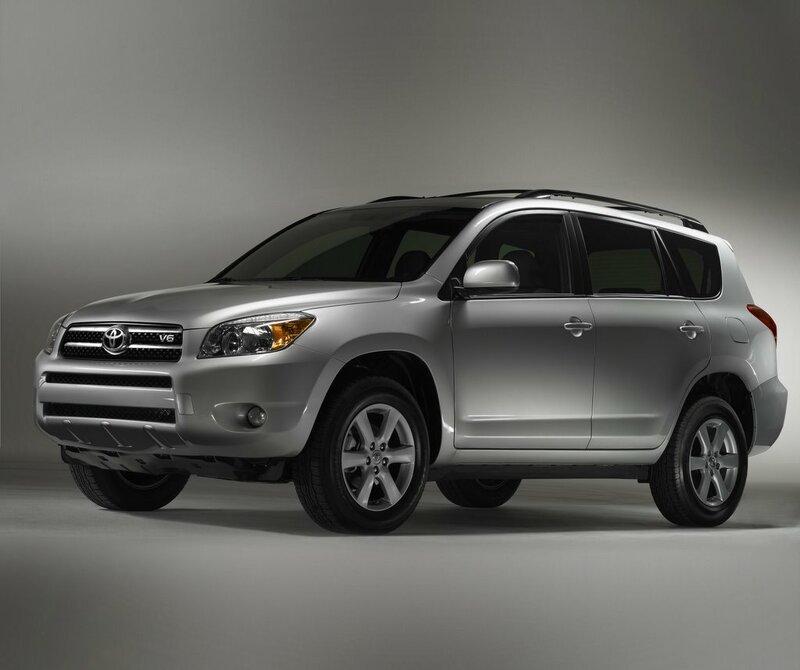 Expect the Highlander replacement in the fall, based on the new Camry platform. Toyota will also be replacing the ho-hum Echo with their new Yaris sedan and hatchback (seeing a trend here of new entry-level small cars?). As if that isn't enough to keep most companies busy, Toyota is expected to make their first real attack on the full-sized truck segment with a new Tundra that will carry aggressive styling, high powered engines, and will easily be the match for the Nissan Titan as well as all the full-sized trucks from Detroit (unlike their past attempts). That and the expected high levels of execution is the primary reason that Toyota is expected to overtake GM this year for global sales. On top of all the new product at Toyota, they are also bringing out impressive products at a little company they like to call Lexus. Early in 2006, Lexus should begin selling yet another hybrid version of one of their vehicles - this time of their mid-range GS class. Lexus focuses on performance with their hybrids and names them based on what size engine they believe would give equivalent performance. As such, the 3.0l engine will, with hybid technology boosting it's output, be considered to be equivalent to a 4.5l engine in the GS 450h. As the Camry's sibling, expect a brand new ES 350 later in 2006. In the fall, Lexus will replace their flagship sedan, the LS series with what is expected to be equipped with a 4.6l V-8 and may be followed later by a hybrid version that could be called the LS 600h and compete against the V-12 versions of the BMW 7-series and Mercedes S-Class. Yep, Suzuki still sells cars. This year they'll be bringing...wait for it...an entry-level hatchback called the SX4. However, to differentiate themselves from the other small hatches coming out this year, theirs will be available with all-wheel drive. Interestingly, this car was developed to be sold in Europe by Fiat as a small SUV, so expect some SUV styling cues and perhaps a higher right height than its front-wheel drive version. Hyundai is expected to continue their march to being a first-tier manufacturer and not just a long-warranty, low price company. This year, expect a brand new Accent Hybrid (yes, hybrid) this spring. This will likely be the first hybrid car to break into the under-20k price-point. They will likely sell every single one they can build. Also this spring, the Entourage mini-van will finally make it to market. You may remember that this is the same mini-van that Hyundai announced, then publicly cancelled, and then just a few months back announced was back on the product plan. This is a platform-mate with the new Kia Sedona but should carry significantly different styling. Expect a brand new Elantra compact in the fall (and with it, we can begin to anticipate what it will mean to all the Elantra platform-based vehicles sold by both Hyundai and Kia (like the Tuscan and Sportage small SUV's) when it comes time for their refresh. Hyundai brought out their world-class Sonata mid-size sedan in 2005. Now, Kia gets their stab at the market with the new Optima in the fall. Around the same time, you can expect to see their hybrid version of the Rio (if I were a Kia executive, I'd be a bit miffed that Hyundai gets these platforms at least 6 months earlier than my company - so that kind of tells you who is calling the shots over at Hyundai/Kia headquarters). Also expect the new Sedona sometime in 2006 - but, no doubt, after the Entourage. Well, that wraps up the upcoming vehicles from the Asian nameplates. They obviously aren't standing still during Detroit's latest crisis. However, there are lots of smart product people and engineers all over the world and, if we've learned nothing else, dominance is a fleeting thing in this business.